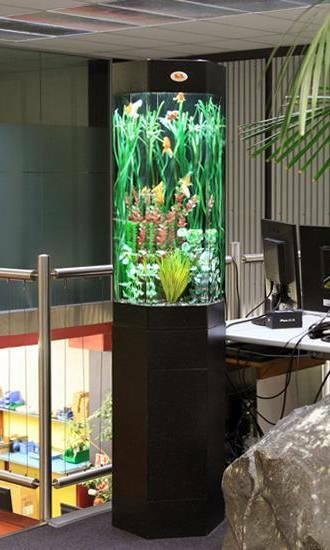 With little or no effort on your part you can liven up your working environment with a fully automated and fully serviced Live Environments aquarium display. 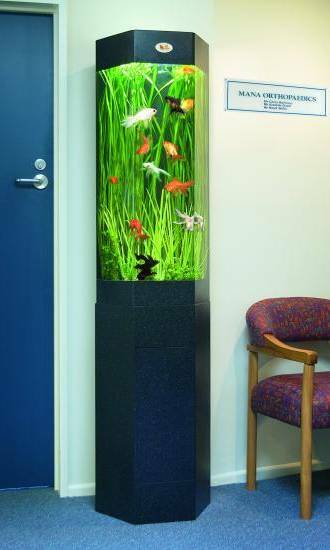 Our aquariums will enhance what you are already doing well by bringing life, colour and new energy into your workplace. 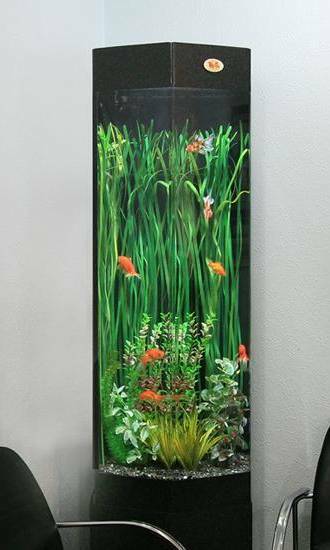 We offer office aquariums, business aquariums and general aquarium displays for any workplace. 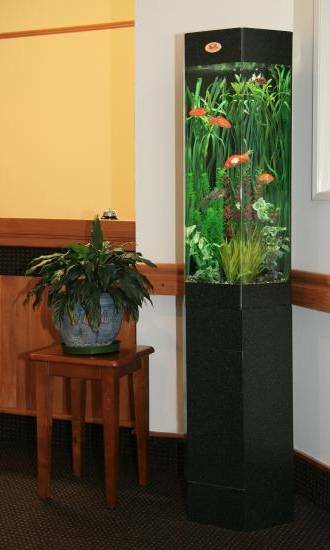 The Live Environments aquarium is a totally automated system, so there is nothing you need to do. 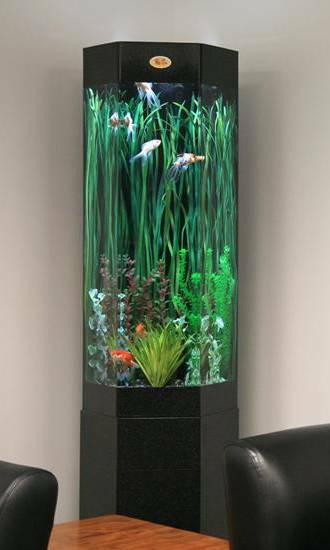 Your fish can be fed automatically and the lights are on a timer. The filter circulates the water four times per hour and filters both mechanically and biologically, ensuring totally clean and healthy water. Our aquariums use less power than a 50 watt light bulb and cost less than 25 cents a day to run. 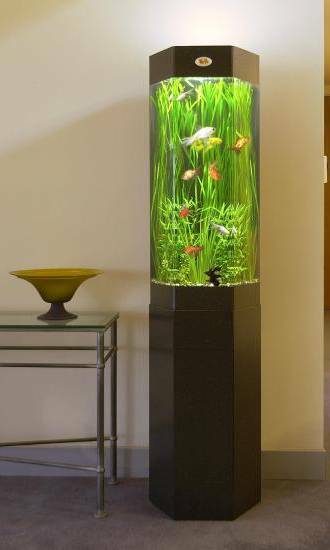 Your aquarium will be serviced on an 18 day cycle and includes full service, replacement of all aquarium fish, plants and filter materials. We offer a 24/7 after hours service, so if the client requires service outside of their normal service cycle, they ring 0800 367 347 (0800 FOR FISH). This number is on the badge on the aquarium. Our monthly agreement is a simple arrangement, with a full calendar month's written notice required, ie cancellation from the first to the last day of the month means aquarium rental will cease at the end of the following month. We will then come and collect your aquarium free of charge. Live Environments Franchises are in Auckland, Bay of Plenty, Waikato, Taranaki, Wellington, Canterbury and Otago, New Zealand.